The most famous admiral in history, Horatio Nelson's string of naval victories helped secure Britain's place as the world's dominant maritime power, a position she held for more than a century after Nelson's death. A young officer during the American Revolution, Nelson rose to prominence during Britain's war with Revolutionary France, becoming a hero at the battle of Cape St. Vincent. He went on to win massive victories at the Nile and Copenhagen, before leading the British to their historic victory at Trafalgar in 1805. But, in that moment of his greatest glory, Nelson was struck down by a French sharpshooter. Today Nelson is revered as an almost mythical figure - a naval genius and a national hero. He was also a deeply flawed individual whose vanity, ego and private life all threatened to overshadow his immense abilities. 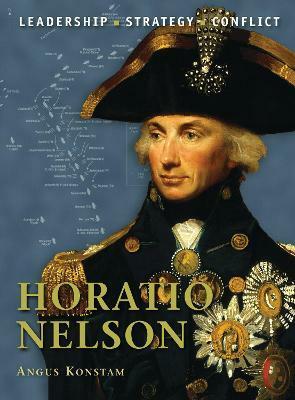 This book reveals the real Nelson.